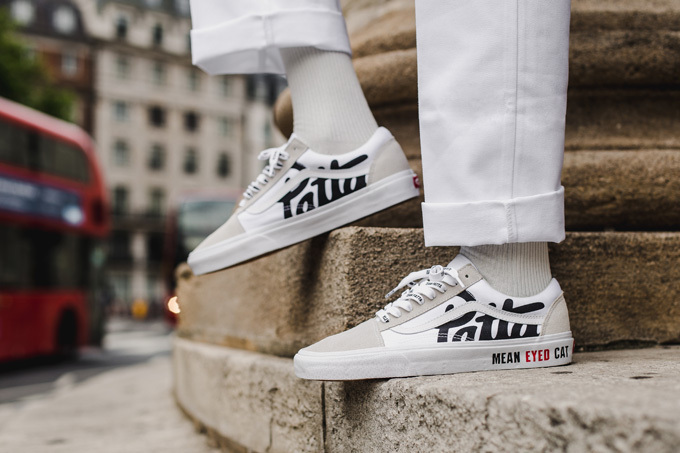 Vans x Patta “Mean Eyed Cat” Old Skool 2017 Collection — strictly waffles. Two years ago the waffle gods blessed us with the “Mean Eyed Cat” Old Skool, an instant hit from Vans JP, Beams and Patta. The collab was a Japan exclusive though, so some of us are still waiting to get our hands on a pair. 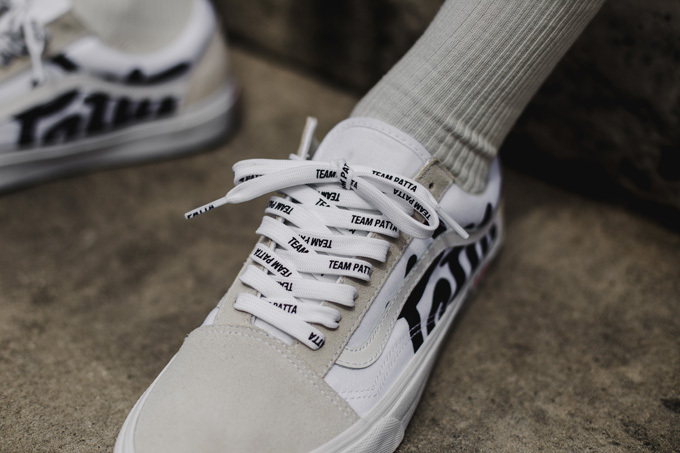 Well Vans and Patta are at it again, this time planning a wider global release. Focusing on the Old Skool silhouette, the latest iteration stays true to the original black beauty, but with two new colorways – true white and black coffee. Premium suede and canvas uppers come together perfectly with the Vans signature leather jazz stripe and Patta script logo on the side panels. You’ll be happy to hear that “Mean Eyed Cat” is once again emblazoned on the midsole and Team Patta laces bring it all home. Founded by Edson Sabajo and Guillaume ‘Gee’ Schmidt back in 2004, Patta was started out of necessity more than anything. The duo wanted to supply friends and family with the latest streetwear that wasn’t available in the Netherlands. These early years were spent scouring the globe, visiting local sneaker shops and buying up insane amounts of shoes that just weren’t available back home. They’d ship boxes and boxes of them back home or pack them up in duffle bags to take on the plane. This can-do spirit and willingness to go against the grain is all over this collab. Set to release at the Patta Amsterdam and London stores this Saturday, May 27th, the collab will make its way online Monday, May 29th. Images of white Old Skool via DropDate.